In this small post I want to share with you a small yet very helpful tip. This tip is helpful for website owners, web masters, blogers and normal visitors aswel. 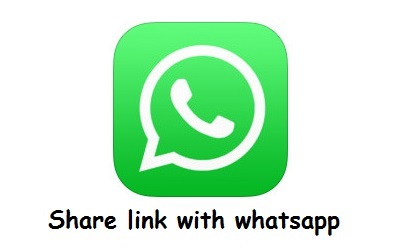 I’m talking about how you can share your website link straight on whatsapp. As you know nowadays many people use their smart phones and tablets to brows the internet, and when they see something interesting and want share with their friends & families, they have to go through lot of hassle by going to the menu then clicking on the share then choosing whatsapp then send the link to your friend. Wouldn’t it be a good idea if they just click on a link and it send the message or link straight to their whatsapp? Well, I think almost everyone will like the idea. So let us see the code and make it work then. Copy the code above (from <a to /a>) and paste in your site. Select the person you want to send the link to, from the contact list. 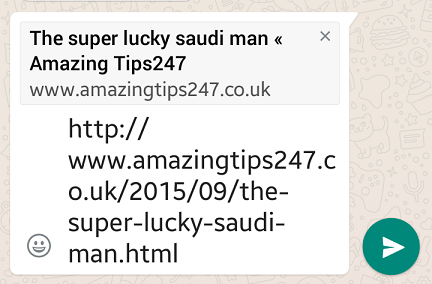 You will see a link like this (Whatsapp this page). That’s it you are done. Now if someone visit your page on a moblie device and clicks on “Whatsapp this page” and then select the person. They will see “https://bynext.com/2017/01/18/features-find-can-skype/” in their whatsapp ready to be shared. Remeber this works only on mobile devices. 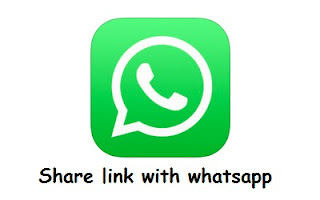 Instead of the link if you write something for example (<a href=”whatsapp://send?text=This is testing message.”>Send the message</a>) then if someone click on “Send the message” they will see “This is testing message.” in their whatsapp ready to be shared.